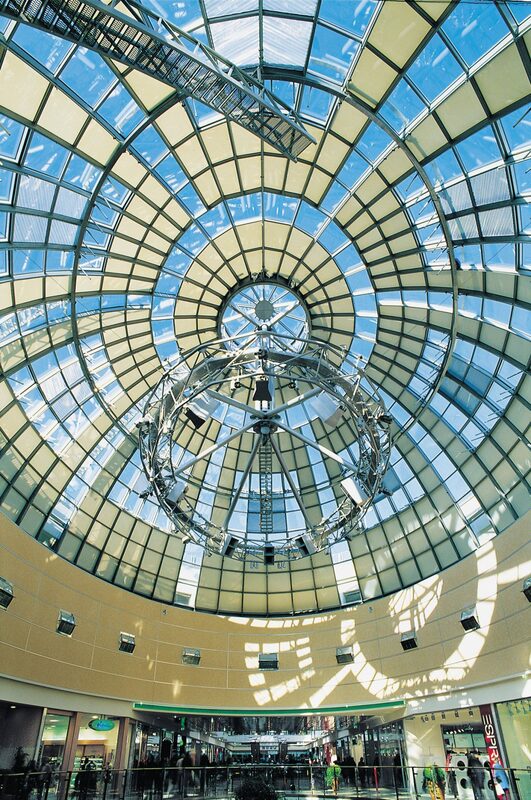 The glass roof over the shopping mall of the “City-Galerie” in Augsburg is executed as a steel and glass structure in an arched shape with a 55.5 foot span. 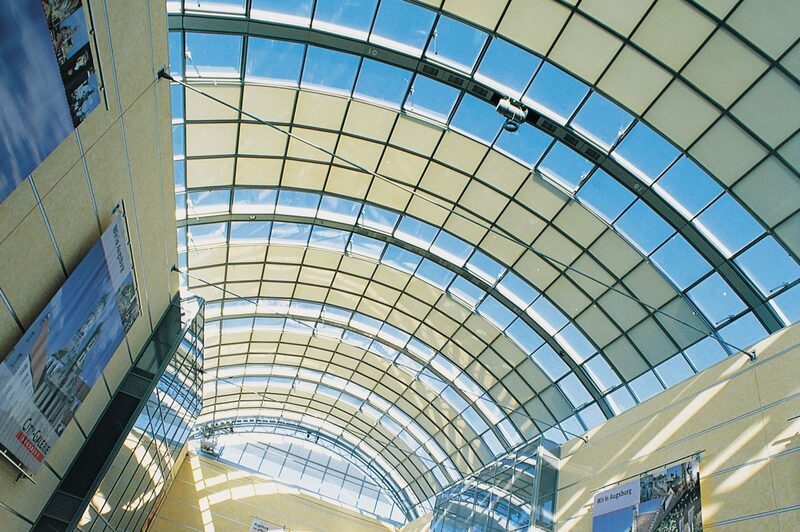 The construction is designed as a supporting shell structure using a 2.75/2.75-inch profile dimension. Deformation stabilization is provided at regular intervals of around 33 feet, integrated imperceptibly in the lighting channel running across the mall. The center of the mall is spanned by an oval glass dome. The dome size of 117 x 55.5 feet creates conditions comparable to daylight in this area.